One of my fellow coursemates told me about this hijab run and while I believe I'm physically out of shape lately and my stamina needs more work, I couldn't resist saying YEAH LET'S DO EET. Muslim sisters, I got yo' back! At this point, I need to start working out to build up my strength and stamina again just so I wouldn't wuss out before the finish line. I think the most I've achieved in running is reaching almost 5km around UP. I could wear a hijab in this run but I wonder how comfortable that would be. I'm gonna need a lot of pins. And maybe a cotton headscarf. Btw, anyone can join this run! Male or female. Even children (as long as they're accompanied by a parent/guardian). Note: Muslim women are encouraged to wear a pink veil. Registration of P100, what're you guys waiting for? And while we're on the topic of veils, I managed to buy a new scarf from Robinson's Department Store at Trinoma the other day. My mom was busy looking at shoes while I scoured the scarf and accessories area. 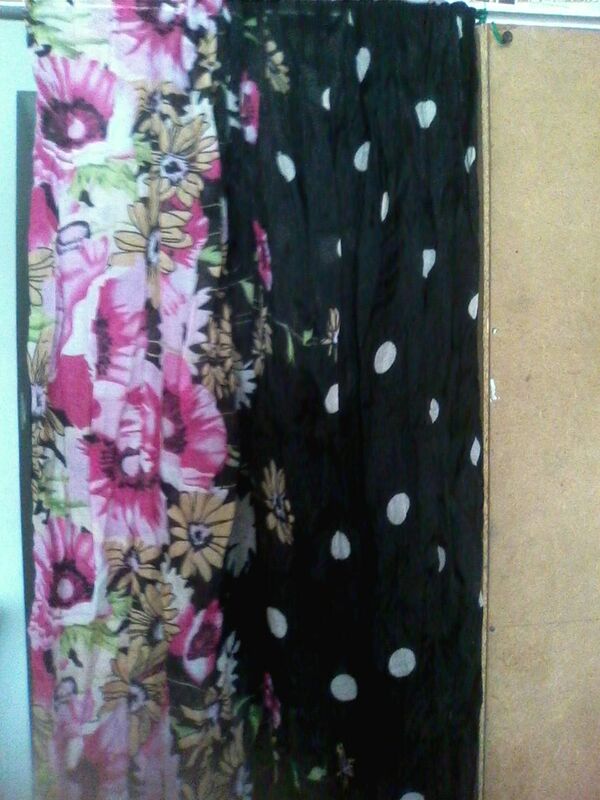 The quality headscarves I could find range from P200-P500 apiece, depending on the design and fabric. It was cray. 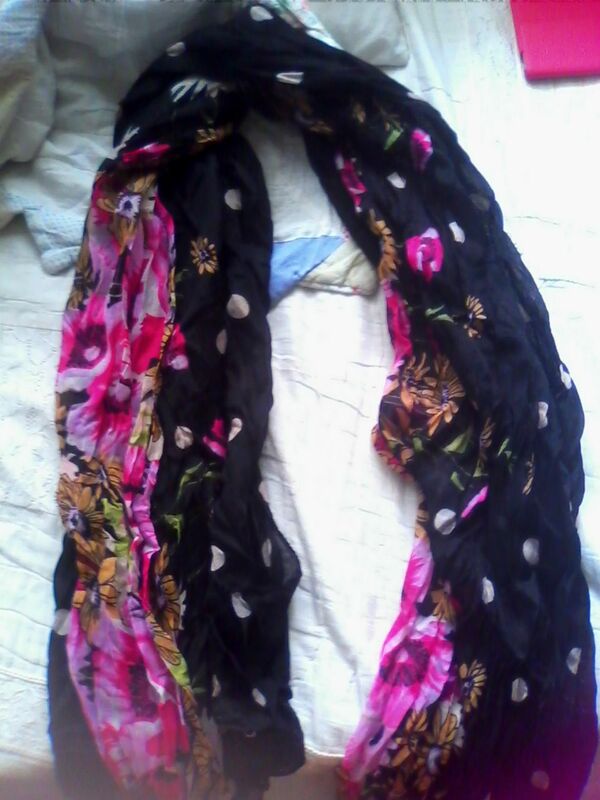 Scarves at upscale boutiques were P500-P900. The cheapest ones I could find ranged P130-P180. Scarf as turban. 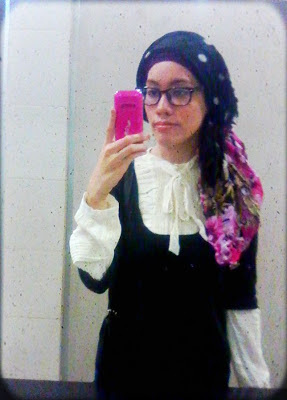 Hey look Wina, I wore the blouse you gave me lol. 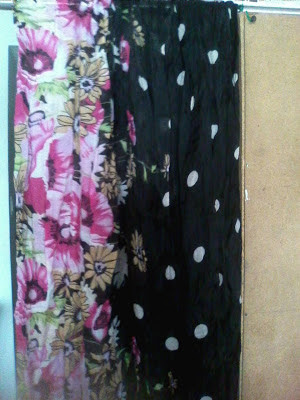 Fortunately, I came across this scarf with designed with polka-dots and blossoms for P189. At this point I realized that if I was going to integrate hijabi fashion in my life, I had to create a separate budget just for headscarves. Oh well. I dunno, just a random opinion, wearing a headscarf doesn't suit you. Aww too bad, I enjoy wearing it. Thank you, Eri. :) hugs for thee! YAYYYYYY! :D YOU LOOK BEAUTIFUL!!!!!!!!!!!!!!!!! !